St. Paul Church (also known as “Mater Dei” - Latin for "Mother of God") was originally built in the 17th century. The Church was ruined by a fire in 1835. What remains till today, is only the foreground of the Church. The location originally included St. Paul Church (a Catholic church dedicated to Saint Paul the Apostle) and St. Paul’s College. Both built from 1602 to 1640 by Jesuit priests. Situated at the top of a hill, the building was the largest Church in Asia at the time, and was dubbed “The Vatican of the Far East”. The original buildings where made of wood, which burned down in a fire in 1835, leaving just the astounding foreground of the Church and a grand staircase leading up to it. 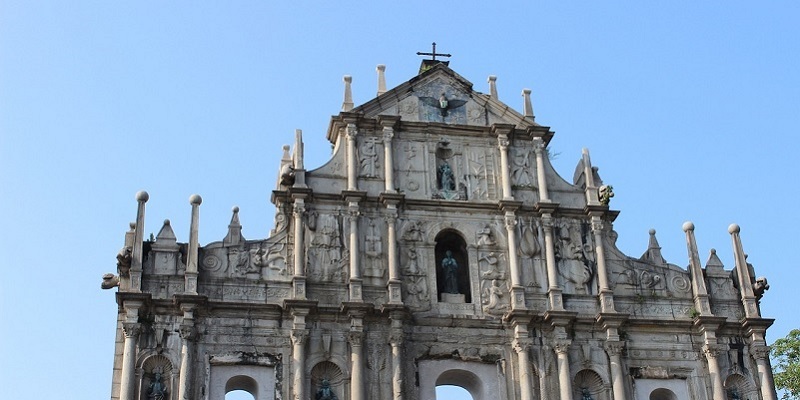 Senado Square has been Macau’s metropolitan heart for centuries. 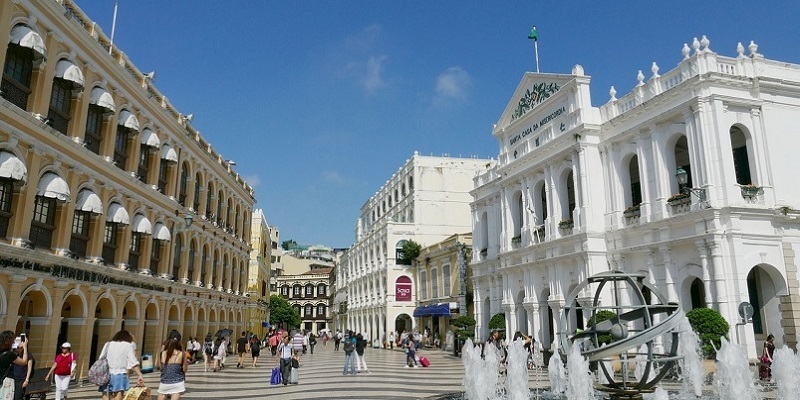 The square is paved with a wave-patterned mosaic colored stones, created by the Portugues, and encircled by beautiful pastel coloured neo-classical buildings. 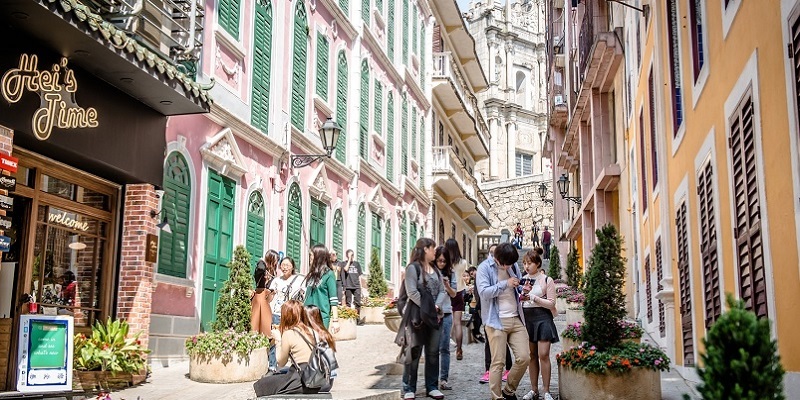 Covering an area of 3,700 m², Senado Square is one of the 4 biggest squares in Macau, comprising of shopping centers and traditional Chinese restaurants. 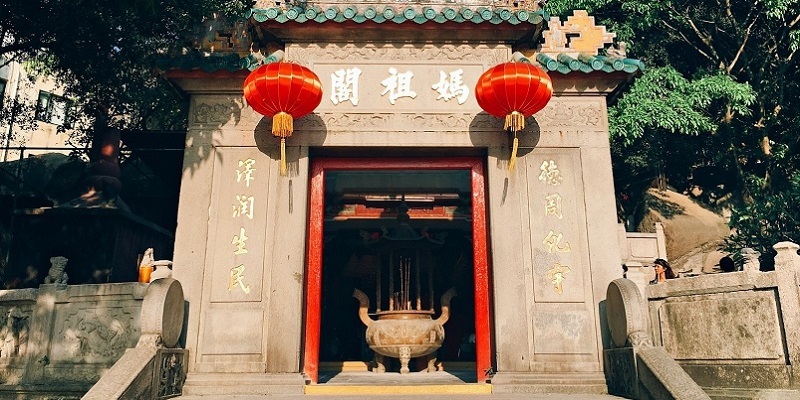 The A Ma Temple (one of the oldest temples in Macau), also known as Mazu Temple, was built during the Ming Dynasty, to commemorate Mazu - The sea goddess. The diversity of worship pavilions in the Temple, represent Chinese culture, inspired by Confucianism, Taoism and Buddhism. 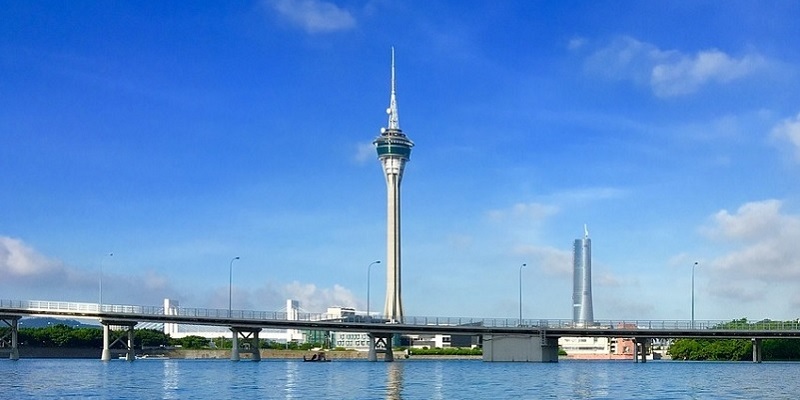 Macau Tower (338 metres tall) offers tourists an outstanding panoramic scenery all over Macao, and much of the Pearl River Delta. Tourists can soar up the glass-fronted elevator in less than a minute. The observation deck, encircled by glass windows, grant a staggering 360 degrees view. 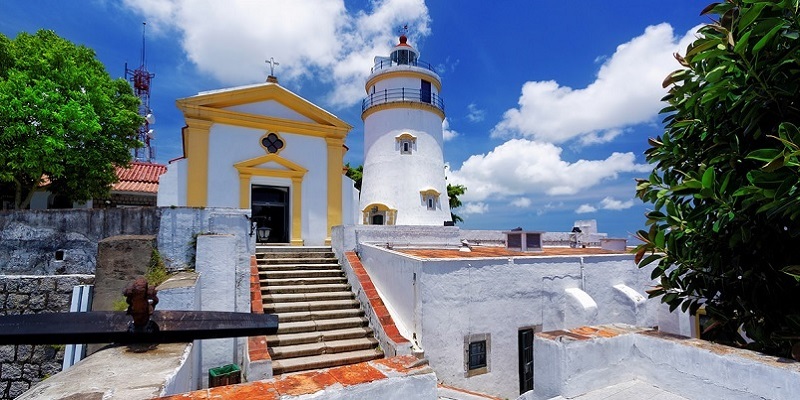 Built between 1622 and 1638, Guia Fortress was originally planned to protect Macau from assaults from the sea, but because of its position - overlooking the entire city, its main purpose was a lookout stand. Rua do Cunha is a narrow pedestrian route, offering a diversity of delicious local food. 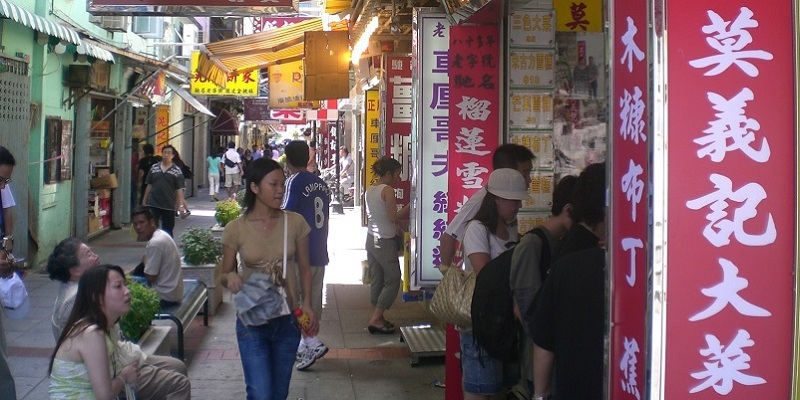 For tourists who are looking for local street food in Macau, Rua do Cunha is a good place to start. The street is filled with counters and vendors, offering a range of delicious snacks, freshly prepared on site. 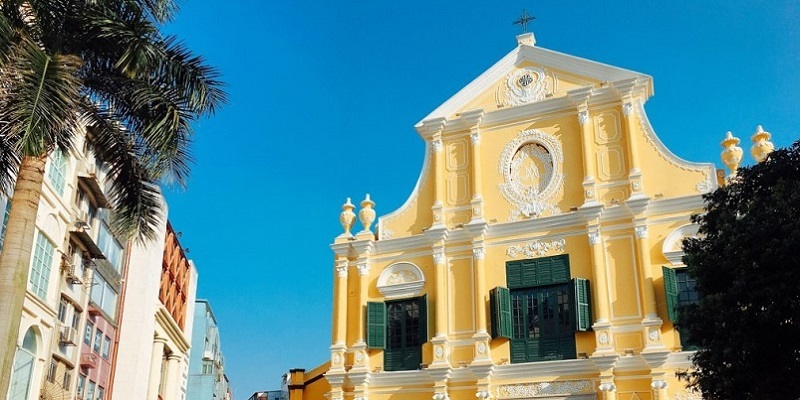 Travessa da Paixão, also known as the Love Lane, surrounded by buildings designed with pastel colors, making it, among tourists, a great spot to take pictures. 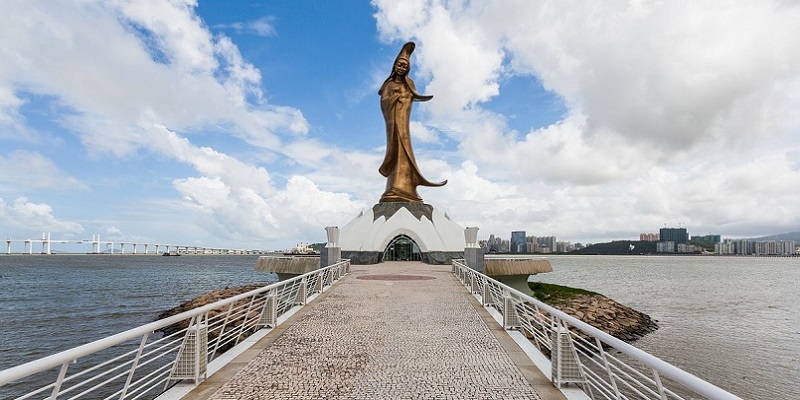 The Statue in the Kun Iam Ecumenical Centre, is dedicated to the Goddess of Mercy. It is 20 meters tall and produced from distinctive kind of bronze. Inside the dome, shape like a lotus flower, is a center offers information on the religions of Asia, including Buddhism, Taoism and Confucianism. St. Dominic's Church was founded in 1587 by three Dominican priests. The bell tower, at the back of the Church, is converted into a small Museum of Holy Art collection of around 300 artifacts. Big Payouts, Mega Jackpots and 50% Daily Cashbacks! Easy Deposits and Instant Withdrawals! SIGN UP & GET $50 FREE CHIPS! NO DEPOSIT REQUIRED!